Bryan and Holly discuss the avalanche of Galaxy's Edge news and details. They talk about the most exciting updates, the things they're most excited for, and what they think the park is really going to be like. 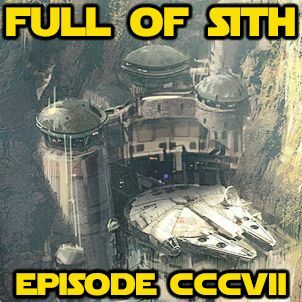 If you haven’t already, join our new Facebook group and join in the discussions with us and other listeners at – http://facebook.com/groups/FullofSith If you like the show, please leave us iTunes/Stitcher reviews and share us with your friends and family! We’d greatly ... See More appreciate it.